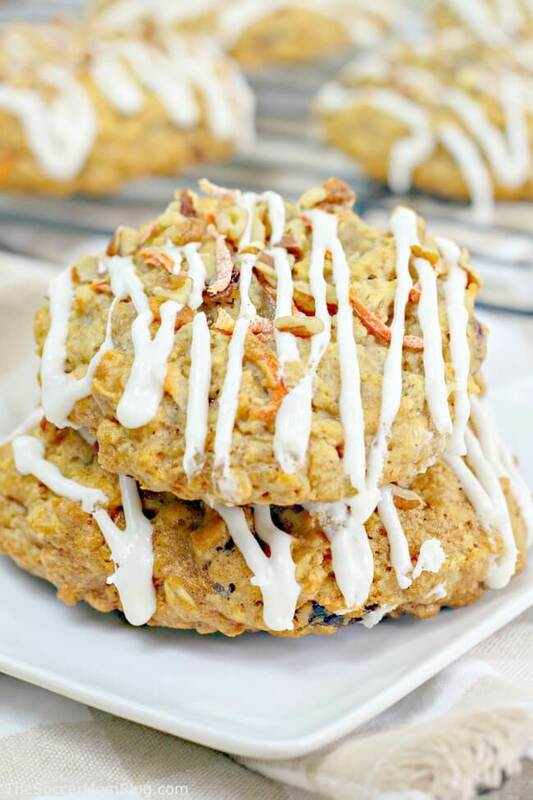 These super soft Carrot Cake Cookies with Cream Cheese Icing are a little bite of heaven! Raise your hand if you LOVE carrot cake! I’ll be honest, I’m more of a chocolate cake gal myself, BUT I can never turn down a slice of decadent carrot cake with cream cheese frosting. And sometimes it’s good to switch things up a bit! 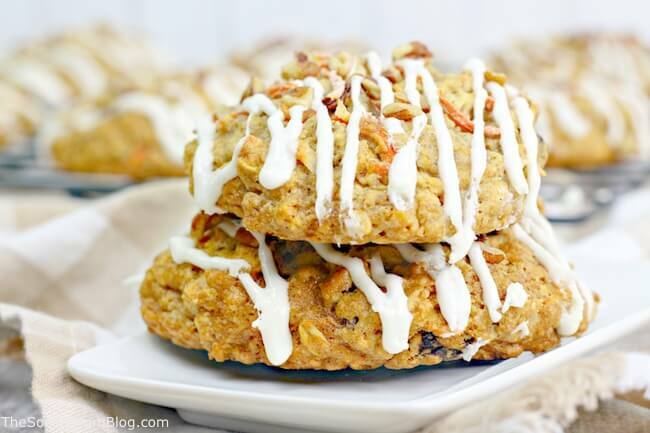 These carrot cake cookies are ahhh-mazing!! They’re thick, soft, and a little bit chewy. All the flavor of a big slice of carrot cake in a much less messy handheld form. And then topped off with a generous drizzle of luscious cream cheese icing! 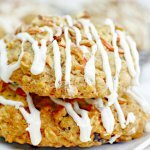 This recipe is also perfect if you love oatmeal cookies – it’s accurate to call them Carrot Cake Oatmeal Cookies. I love the texture that the old fashioned oats adds! 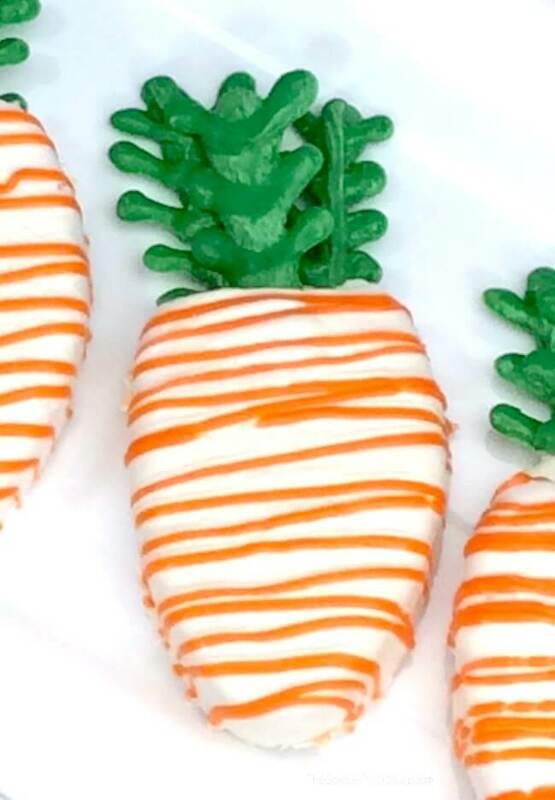 These carrot cake cookies are BIG cookies — perfect for Easter parties, gifting, or just enjoying together with the family. Hope you love them as much as we do! For your convenience, I’ve provided ad links to supplies used to make this recipe; see our disclosure policy here. 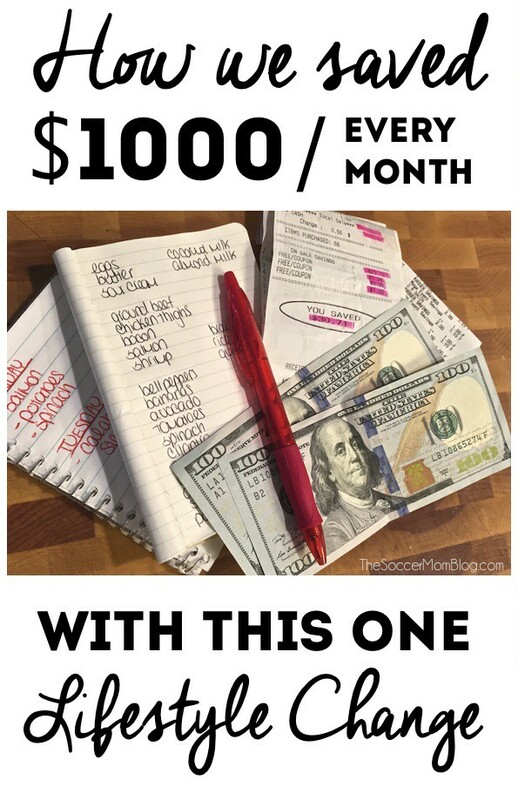 A free printable copy of the full recipe is below the prep tips. 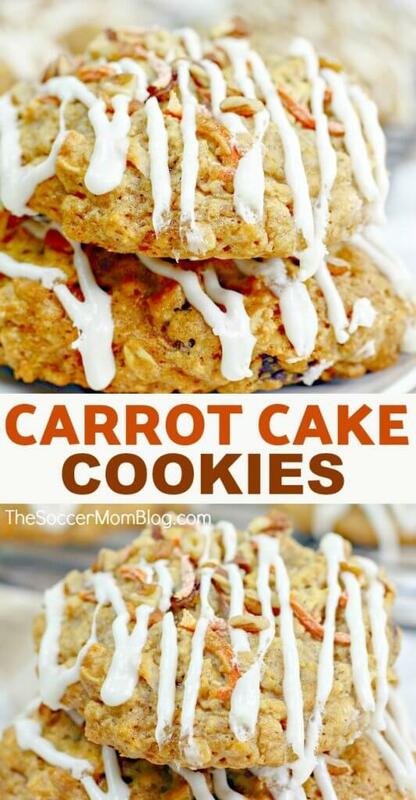 You can make these carrot cake cookies gluten free by swapping out the all-purpose baking flour with gluten free flour. We use a plastic squeeze bottle to drizzle our icing because it’s easy, less messy, and you can get the icing to look super pretty. However, if you don’t have a squeeze bottle on hand, you can drizzle the icing with a spoon. A cookie scoop helps ensure uniform cookie size, but you can freehand if you like. Depending on the size of your cookies, this recipe should make about 12-16 cookies. They’re BIG! 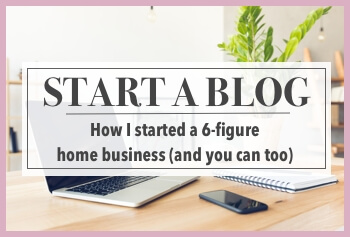 If you like this recipe, please rate it! 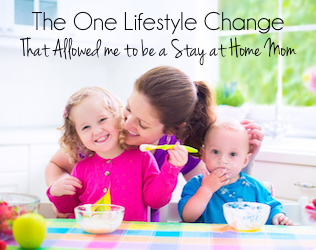 We’d also love to hear your thoughts in the comments below. 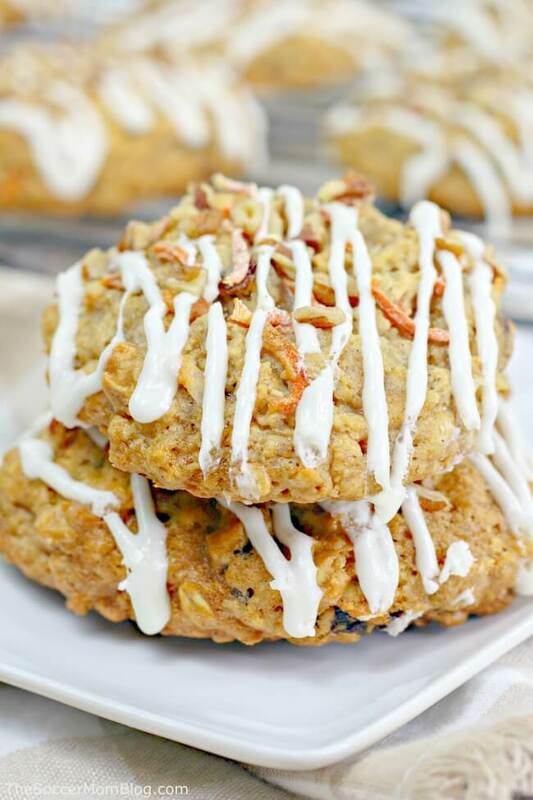 Super soft Carrot Cake Cookies with Cream Cheese Icing are a little bite of heaven! Preheat oven to 350°F and line a cookie sheet with parchment paper or a non-stick silicone baking mat. In a large mixing bowl, whisk together the flour, baking soda, cinnamon, nutmeg and salt. In a separate mixing bowl, beat together the butter, brown sugar, and sugar until light and fluffy. 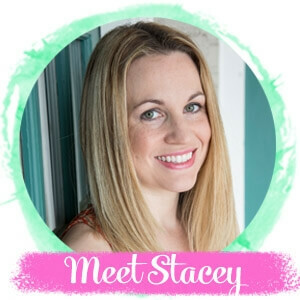 You can use a standing mixer or electric hand mixer. Gradually pour dry ingredients into the bowl of wet ingredients, mixing as you go. 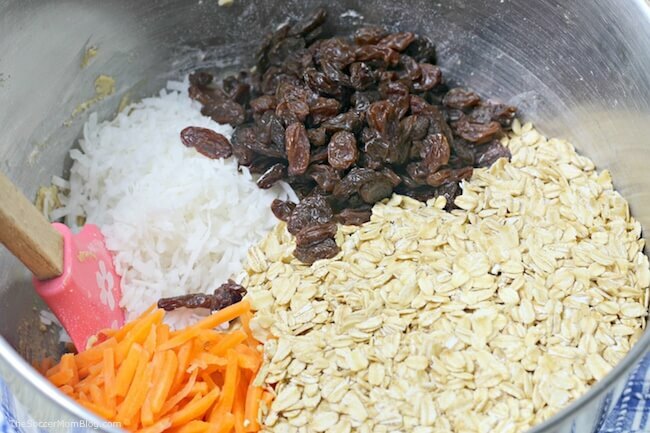 Fold in the carrot, raisins and oatmeal with a rubber spatula until well distributed. 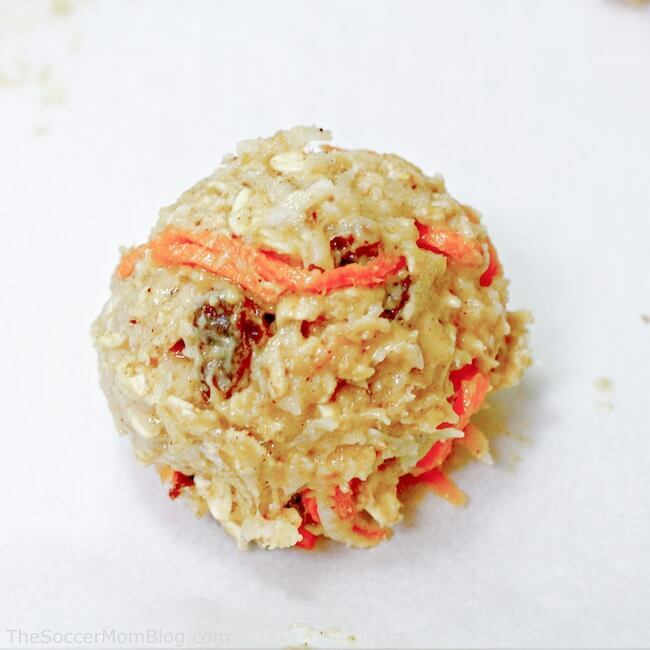 Place balls of cookie dough on your prepared baking sheet. Bake for 15-17 minutes or until a light golden brown. Beat together the cream cheese, powder sugar, milk and vanilla until smooth. 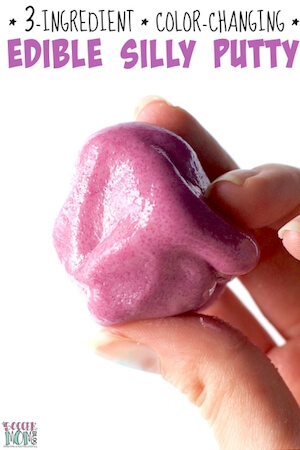 Scoop the icing into a plastic squeeze bottle. 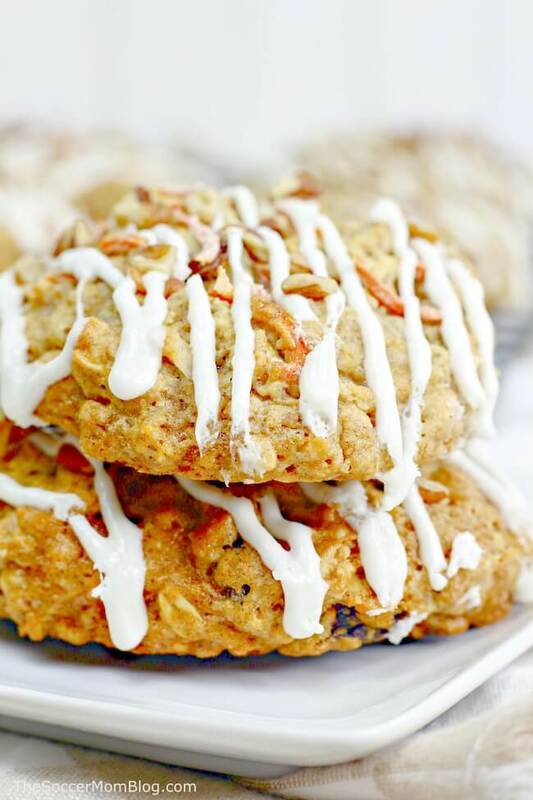 Drizzle icing over cooled cookies and sprinkle with chopped pecans. Allow icing to set before storing or serving.